It's the end of December, and a good time to look back on the highlights of our most recent, and our most exciting WannaBeatle year. For one thing, this blog got started at the beginning of 2013, and that allows us to see almost a year's worth of WannaBeatle-related events, from Ryan's Bar Mitzvah to the new transmission in Nathan's van. Out of many memorable experiences, the biggest deal for us was writing, recording and releasing our first fully original CD. Here it is. Isn't it lovely? Much of the first half of the year was devoted to working on songs for the album, and facing deadlines. (Check out "Still Rockin' in Dennis's Basement" among the blogs from April and May documenting our diligence.) Then the album came out in June. Soon after that, we partnered with Big Brothers Big Sisters of Middle Tennessee, who took our song "If We Simply Love" and made it their theme song. Our new friend Todd Wilson at BBBSMT helped us by presenting the song to the agency and making a video of our new version. We also played at their annual fund-raiser, the Franklin Wine Festival in October, where the video was projected on a screen behind us while we played the special version of the song. For those who haven't seen the video, it can be viewed at http://youtu.be/WgK3D7nY-iI. WannaBeatle David was the driving force behind "If We Simply Love." It was his idea. He wrote most of it, sang it, and played drums, piano and bass on the recorded version. Thanks to David, and his parents, we also came up with a Spanish version, called "Si Puedes Amar," which was covered in another blog or two. Our summer was busy with lots of shows out of town. We visited some states for the first time (Virginia, Ohio, Indiana) and shared stages with symphony orchestras. Those trips are commemorated in various blogs. Our biggest symphony gig was in Virginia Beach, where we performed with Symphonicity, a full orchestra including harp (for "She's Leaving Home") and piccolo trumpet (for "Penny Lane.") That gig coincided with the 50th birthday of Virginia Beach, for which we wrote and recorded a special song, "In '63." Dennis was the creative force behind that song, and captured evocative details in the lyrics. What made it not only possible but enjoyable for us to play with symphony orchestras was Nathan's skill and diligence as an orchestrator. He wrote the charts we played (with some help from WannaBeatle David) and kept in communication with the conductor of the orchestra for months before we arrived. Another highlight of the year was participating in the Beatles Global Relay, joining with bands around the world to create a unique version of "From Me To You," to celebrate the 50th anniversary of the release of that Beatles song. The WannaBeatles were among groups from Brazil, Japan, Slovakia, Australia, and Liverpool adding our own playing and singing to the global collaboration. We made many new friends during the year, like Richard Courtney, the local real estate columnist and Beatles fan, author of "Come Together: The Business Wisdom of The Beatles." Richard became a sponsor, and now we're selling his book at our shows, and donating some of the profits to Habitat for Humanity. 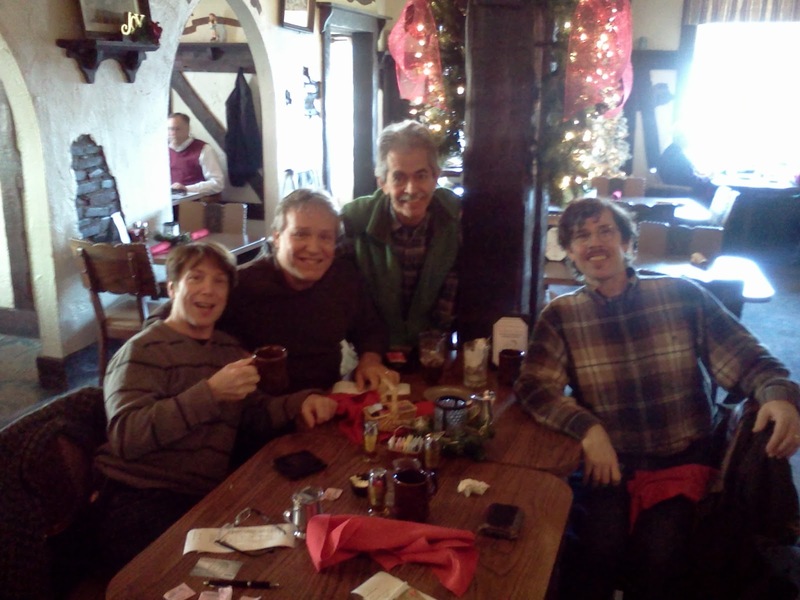 As December quietly closes, the holidays pass by with the WannaBeatles in four different states with their families. But we have one little Christmas surprise, from an unexpected source. It's the Nashville Scene. 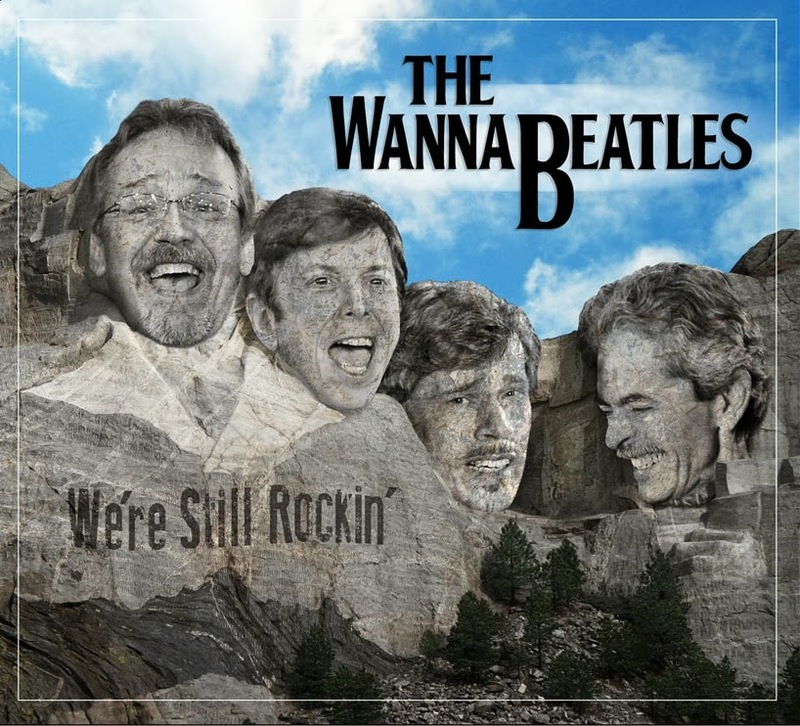 For the six years we've existed here, they've never given The WannaBeatles a mention - good or bad. But they couldn't help but notice the fine music that was written and played for the Studio Tenn production of "A Christmas Carol." "The music by Nathan Burbank is sublime, a mix of traditional Christmas songs and his own original, classically arranged underscoring that embraces all the action with appropriate warmth, whimsicality and inspiration. Burbank and four other musicians deliver it all with high style, live from the orchestra pit." As we find ourselves saying, it's good to be a WannaBeatle. God bless us every one. Last Friday (the 13th - but it wasn't unlucky) The WannaBeatles played a party for Hippie Radio, which was held on the top of the parking deck behind the station on Music Row. They really did it up right, with a huge tent equipped with heaters, catering by Monell's, a full stage with sound and lights, and plenty of holiday decorated tables. In addition to us, they had Black Diamond, the stage name of Theron Denson, the world's only African-American Neil Diamond impersonator. Walking around the room as Santa Claus was Supe Granda, of Ozark Mountain Daredevils and Supe and the Sandwiches. We'd had good experiences with Hippie Radio before, appearing several times on their morning show with DJ Chris Luckey, playing songs on the air, laughing and enjoying ourselves. We found out that their marketing director Barb Deniston was a huge Beatles fan. We discovered that their sales manager Moody Castleman also plays bass and sings with a cover band called Fade To Black. Well, all of this came together in one night under the tent. First of all, when I arrived for the gig, Barb introduced me to a couple of friendly guys named Tony and Mark. Turned out they own the station; they were in town for the party. I was immediately impressed with the fact that Tony and Mark not only helped me carry my gear from the car, but actually walked up three flights of stairs rather than take the elevator. Tony mentioned something about having hiked five miles in Colorado recently, so I assumed he was in good physical shape for the task. Still, a radio station owner who schlepps a musician's guitar amp up three flights of stairs deserves a mention in my book. We met Theron Denson, the "Black Diamond," who is a very engaging and professional guy, a pleasure to meet. He told his story of having grown up in West Virgina and Missouri, son of a military father, so that his cultural experience was not typical. He began doing the Neil Diamond tribute back in West Virginia, and over ten years ago was noticed by Jimmy Kimmel, who invited him to appear on his national tv show in L.A. That was his big break, and he hasn't stopped performing since then. Also at the party was our friend Gary Talley, who's a well known guitar instructor, also known as an original member of the Box Tops, the pop group from Memphis whose big hits were "The Letter" and "Cry Like A Baby." It was the kind of party where Gary could get onstage with us and sing "The Letter," even though we were not exactly the ideal backup band for that particular song. It was a case of sportsmanship rather than musicianship. By the end of the night, we had more people joining us onstage - Supe, in full Santa gear, doing the faux Beach Boys backup on "Back in the USSR," and Moody Castleman singing very tricky parts of "Live and Let Die," with no rehearsal. He was amazing. But the best part of all was Black Diamond joining us for "Hey Jude." After years of singing Neil Diamond, he's happy to show that he can sing other songs too. He's really a fine singer, and a fine performer. But even more interesting is the fact that his middle name is "Jude." So we feel like we provided a unique moment in the career of Theron Jude Denson, also known as Black Diamond. It was a great party, and we're happy to be involved with Hippie Radio. The WannaBeatles had another road trip, this time to Indiana, a state where we'd never played before. And some sub-zero temperatures. It was our first time in the van traveling together since our trip to Ohio three months ago. Since then, WannaBeatle Nathan has replaced the transmission in his van. That's a sign of how much stress his vehicle has endured while towing a trailer loaded with our equipment for hundreds of miles on the highway. But repairing the transmission was still cheaper than a new van. Anyway, The WannaBeatles wish to express their gratitude to Nathan for being our master of transportation, in addition to being our finely educated keyboard and bass player and good natured roadie. 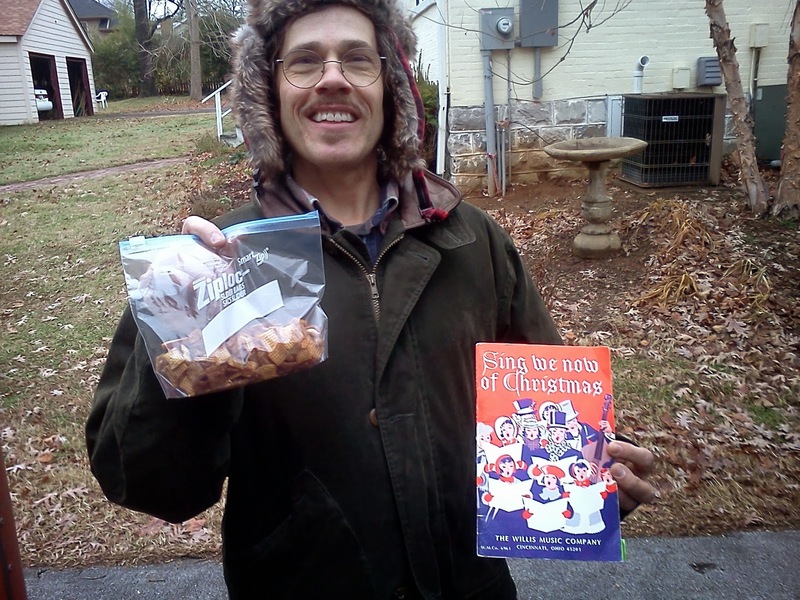 Here he is, in his Elmer Fudd earflap hat, holding a bag of snacks and a book of Christmas Carols, ready to go. This trip involved two shows for the same client. Each was a Christmas dinner and celebration for special customers of a local bank called MainSource Bank. 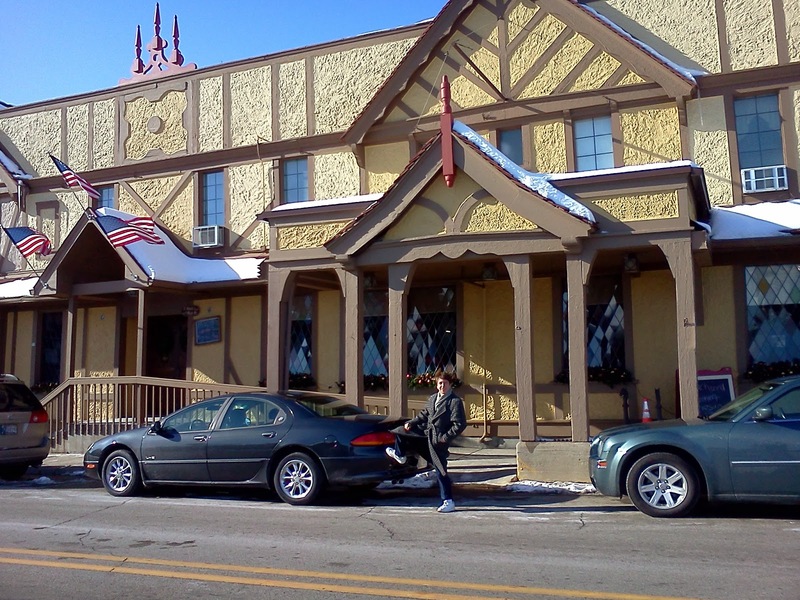 The first gig was at Rising Star Casino, in Rising Sun, Indiana, on the Ohio River. The next one, two days later, was at a restaurant called Jonathan Byrd's, in Greenwood, near Indianapolis. Nathan had already printed out the map, like a good navigator, and assumed the driver's seat. The trip was several hours up I-65, making a slight turn near Louisville, heading northeast toward Cincinnati. We noticed north of Nashville a sign for "Sad Sam's" selling fireworks at the lowest prices. We didn't stop, but made a note of exit 112, planning to stop there on the way back. 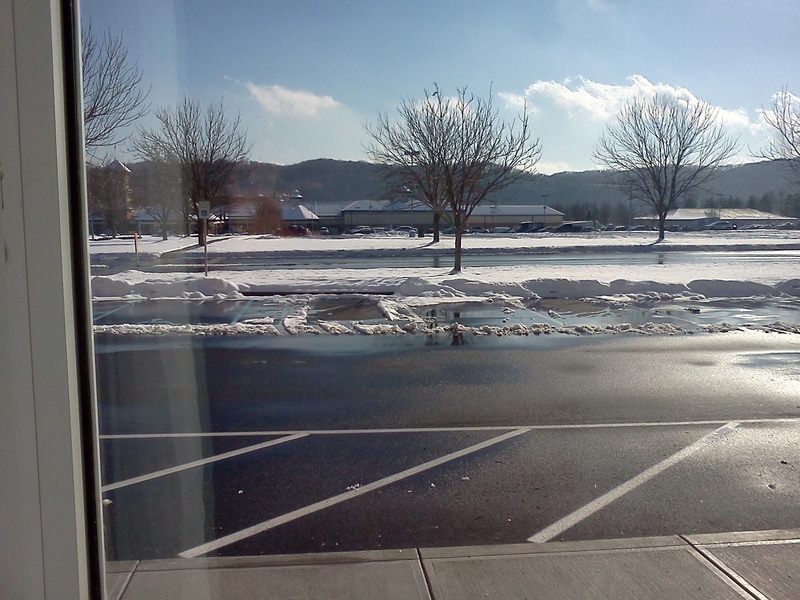 We passed through snowy terrain along the Ohio River, but experienced no problems with the roads. We arrived around 8 pm, time enough to check into our fine hotel and still eat a huge meal at the Rising Star buffet. As we walked through the hallway toward the Grand Ballroom of the Rising Star, we saw dozens of framed pictures of acts who'd played there before. There were all the standard country stars, like Merle and Willie, big names like Tom Jones, rockers like REO Speedwagon, even the band I used to work with in the late 80's, ShaNaNa. 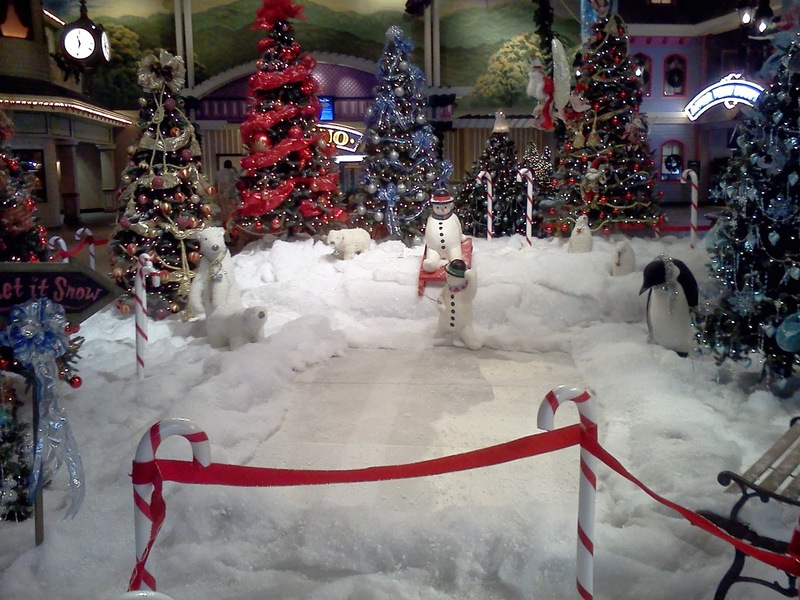 We got into the Christmas mood passing by the display of polar bears and penguins in the snow. 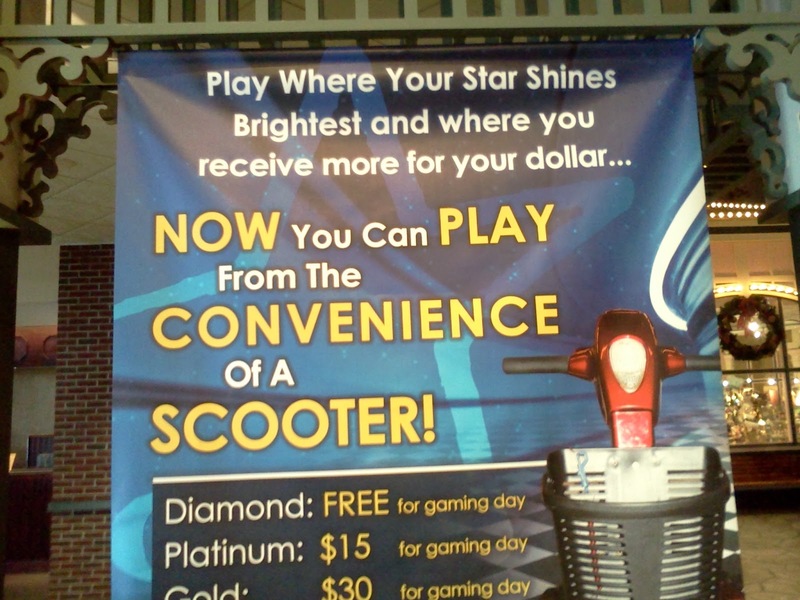 We found a sign that revealed something about the age of the typical customer at The Rising Star Casino. We set up most of our gear onstage that night, to be ready for a morning sound check. Our favorite soundman, Allan Waugh, was joining us on this trip, driving his own van and trailer. He had his own room at the hotel. Rising Star Casino built a new hotel about two years ago on their property. That's where we stayed. That explains the colorful decor in the lobby. The next morning, we saw more snow on the ground. The temperature got down to 5 degrees, and the weather report spoke of arctic winds coming down from North Dakota. This is the view on the first morning looking south out the window of the hotel room. That's the Casino, and the mountains behind it are across the river in Kentucky. We had a nice gig, thanks to Angie, the lady who booked us for MainSource Bank. She was the hostess of the party, a very gregarious and also very professional woman, who made the entire trip pleasant for us. Tuesday night we had another dinner at the buffet, then took a tour of the casino itself, which is located on a dry-docked riverboat. It's basically three floors of slot machines, with a few blackjack tables and roulette wheels inserted among them. And plenty of flashing lights to get customers in the mood to gamble. Our man Allan decided to give a slot machine a try. He started with ten dollars, and just sat there pushing a button, making random arrangements of various designs appear on the screen. (It's all electronic now - no physical gears to turn.) The screen would beep and the numbers would show that he had won twenty dollars. He kept pushing the button, and we gathered around to watch. Nathan and I were among the cautious ones, advising him to stop playing when he reached $40. He continued playing, and his loot declined. Nathan said, "Stop Allan. Don't let it get below $30." But Allan continued, allowing his winnings to slip below $30. Foolish move, or so we thought. Suddenly the machine made some dramatic moves upward, as Allen somehow activated a double action free play bonus. Within a minute, his total was up to $183. Rather than continue playing, Allan decided to stop there. He pushed the payout button, which produced a paper voucher. Allan carried that over to a cashier's window, and within another few seconds, had $183 cash in his hand. It was looking like a pretty good night for Allan. Dennis, always looking for a creative business angle, suggested that Allen's good fortune was the direct result of his being hired for this gig by The WannaBeatles, which might make a certain percentage paid to the group appropriate. Allen didn't quite see the reasoning of that proposal, and Dennis was just joking anyway. Wednesday was our travel day, getting from Rising Sun to Greenwood. It was not too far, but we had to leave without eating breakfast, so we were looking for a place to stop. We found a gas station that had snacks. 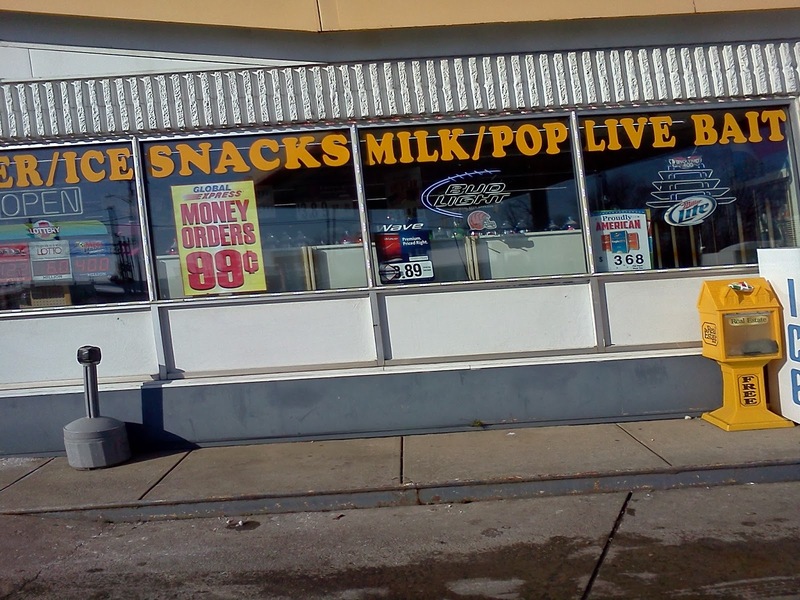 I noticed they used the term "pop" for soda or soft drinks. I took a picture of their sign, since that's something we don't see in Nashville. We enjoy listening to music, talking shop, and carrying on business while in the van. Dennis sets up his laptop, and answers the phone "WannaBeatles Mobile Office. May I help you?" WannaBeatle David, our tech dude, has a cable that gets music from his iPhone to the aux input of Nathan's car stereo. That is too much sound for Dennis to operate his mobile office, so he uses his winter overcoat as a temporary sound baffle. 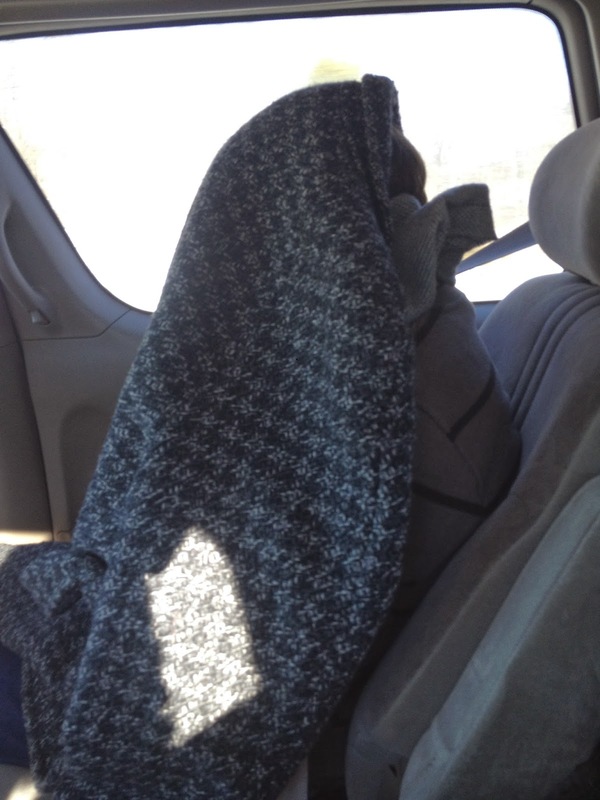 David took this picture of Dennis under his overcoat, operating the Mobile Office. We never saw a Waffle House along the road (surprise!) but saw a sign for a restaurant called The Sherman House in Batesville. It was already time for lunch, but we called ahead to see if they would serve breakfast. They said yes. It turned out The Sherman House was named for Gen. William T. Sherman, the man who, among other things, marched through Georgia, burning everything in his path. Since I'm a native Georgian, I was raised with a view of Gen. Sherman that would differ radically from the view of those fine folks of Indiana who commemorate him in this particular restaurant. I managed to keep my hereditary resentment under control as we ordered and waited for and finally enjoyed our food. We even asked the waiter to take our photo. One thing I noticed on the menu, besides the absence of grits, was a side item called "goetta." We used our iphones to google it, and discovered it's a breakfast meat that is popular in the Cincinnati area. We didn't order it, so we'll never know what those folks eat for breakfast. After the meal I texted the Good Yoko (also a Georgia native) about eating in a restaurant dedicated to the memory of Gen. Sherman. She replied "was everything served burned?" We all loved that one. That's why she's the Good Yoko. 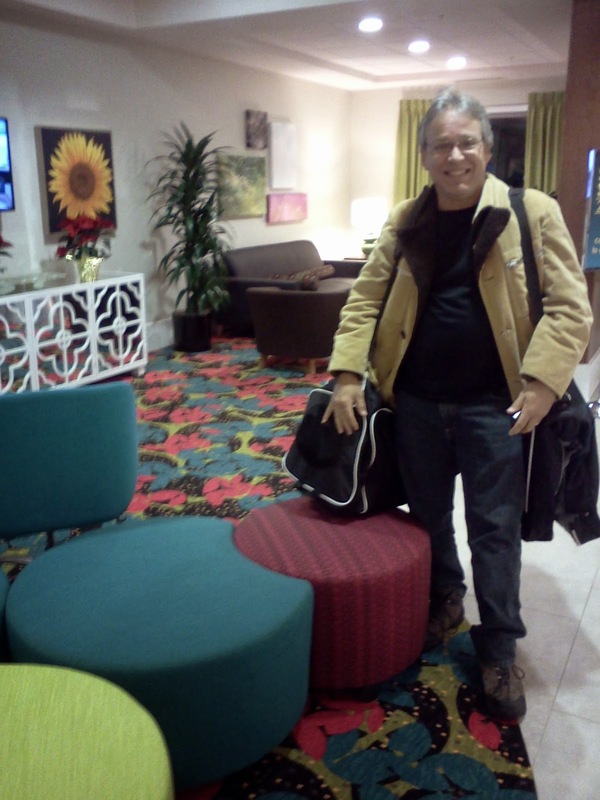 We arrived at Greenwood in the late afternoon, checking into a Hampton Inn. We found Jonathan Byrd's, and set up our gear again for another party the next day. We ate at Texas Roadhouse next door to our hotel. The next morning, we assembled for the sound check and show, and had another fine time. Angie was a delightful hostess again. We ate dinner with the guests, and at our table was a man named Larry who started a conversation about Fender amps, and a woman named Jenny who had once made a leather vest for William Lee Golden of the Oak Ridge boys. They made us feel right at home. Larry also became the audience volunteer who joined us onstage for the song "When I'm 64," and he was great. We were headed home to Nashville after the show, which meant leaving around 4 pm. We almost made it to Louisville before sunset. A few more photos from the trip home…. 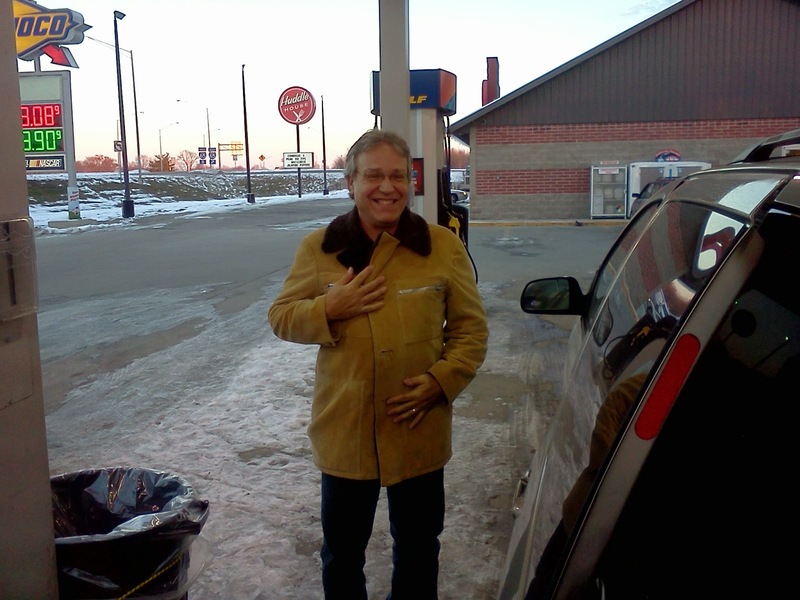 David calls this his Ponderosa coat because it reminds him of Hoss on "Bonanza." 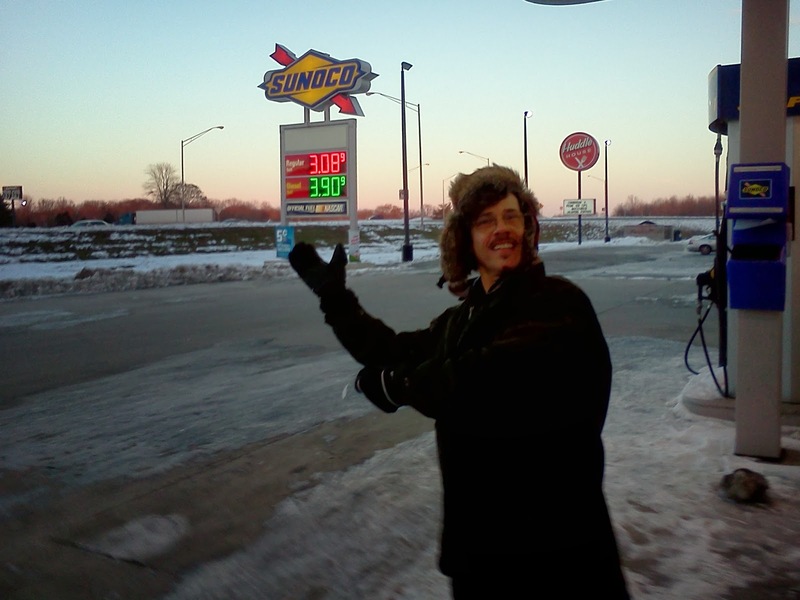 Nathan was happy to find gas for 3.09 per gallon. 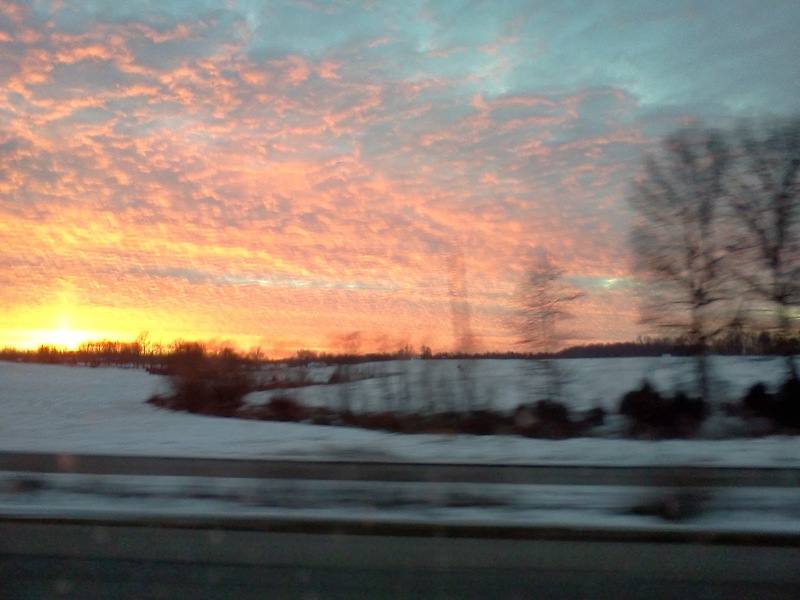 The sunset along I-65 just north of Louisville. And one more moment. After crossing the line back into Tennessee, we stopped at exit 112 on the way back - Sad Sam's, to check out their fireworks prices. Unfortunately, they charged a dollar each for poppers, and we can get them cheaper online. Another sad story (for retailers) from the internet age. 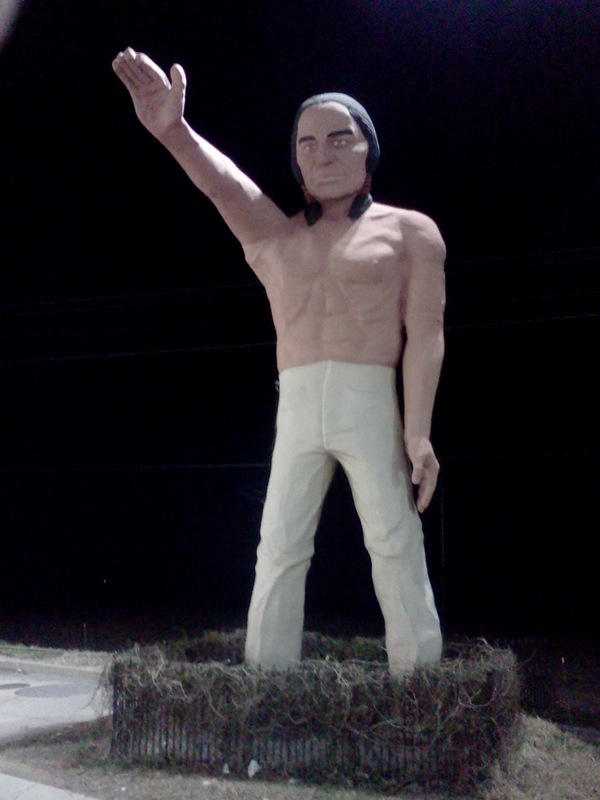 However, we did see a huge statue of an Indian, standing guard over the property. Since we had been to Indiana, and had several conversations about the odd fact that so much of our country is named for the native population that no longer lives here, it felt poignant, sad, noble, ridiculous and comical all at once to see this statue, apparently promoting a fireworks store, watching over us. There's no place like America.